Whether you’re leaving a studio apartment or a multilevel colonial home, moving is stressful. The idea of putting your life in boxes is paralyzing enough, let alone seeking out a new neighborhood to call home. “But life is full of changes and moving away from the familiar means moving towards a new adventure,” said Eileen Koff, a certified professional organizer with To The Next Level. To help you get Koff’s positive philosophy, I got her to share tips to make your next move as stress-free as possible. It’s easy to dismiss mundane tasks as unessential when responsibilities pile up, but as Koff reminds us, “things happen quicker than you think.” She recommends dedicating a file box or planner exclusively for the move right away to properly organize documents ranging from realtor contracts to personal medical files. She also suggests creating a floor plan to map out where your belongings and furniture will fit in the new home. Early mental planning “will make that house feel like a home from day one,” keeping you from feeling overwhelmed by white walls and barren space. 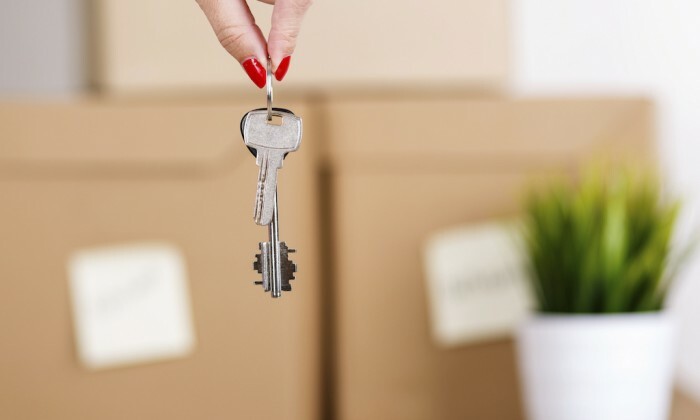 “A move requires thousands upon thousands of decisions, and you don’t want to be making those alone.” Whether that means bringing in a professional organizer, movers or relying on some extra hands from family and friends, don’t be afraid to ask for help. Surrounding yourself with a support system will ease your anxiety and help ensure that everything ends up in its rightful place. “We usually throw things in places where they end up for 5 to 10 years.” Having someone help with something as simple as putting color coded stickers on moving boxes can make all the difference. Think about the items you want at your disposal right when you walk through the door. If having your coffeemaker for that first morning cup or your child’s teddy bear will make or break the move, put those things together in one box so they don’t get lost amid packing. “It’s the last thing you pack and the first thing you unpack.” Unloading your personalized survival kit will provide comfort and the motivation to continue unpacking and re-organizing your belongings, which is arguably the toughest part of the battle.